Swire Shipping has become the first company to use an electronic bill of lading (eBL) on the Australia to New Zealand trade route. The eBL was presented by trade digitisation company Bolero, and was used by Cargill Australia, on a trade of containerised grain. Supply chain consultancy Buy Sell Move (BSM Global) conducted trade execution services. The transaction was conducted on an open account basis, a common model for deals involving Bolero technology. This marks the first time Swire Shipping, a Singapore-based merchant shipper, has used an eBL, with general manager Jeremy Sutton saying that he was “impressed with the substantial gains in speed of execution, simplicity of use and security Bolero has delivered for our customer”. Sutton says this is the first of many such transactions the company plans, with Swire and Cargill already deploying eBLs for shipments of grain from the Solomon Islands to Australia. Ross Wilkinson, head of global accounts at Bolero, a UK-based company, told GTR at Sibos today that the transaction represents a “live action implementation” of the UK-Australia fintech bridge, an agreement signed between the respective governments earlier this year, designed to boost collaboration between companies from each nation. “This demonstrates the collaboration and integration of service providers and traders in Australia and the UK,” Wilkinson said in Sydney. The use of eBLs is not new, but is becoming more common as the trade finance industry looks to digitise. It helps reduce delays caused by traditional paper bills of lading, and is also considered to be less prone to fraud. The Swire eBL execution follows a similar transaction in September, when Taiwanese carrier Wan Hai Lines executed an eBL between Singapore and China. This covered a shipment of polyester filament, exported by a Singapore-based chemicals company. In an official release in September, the chairman of Wan Hai Lines, Randy Chen, said the use of eBLS allowed it to “increase the security and confidence level for our customer and their buyer”. 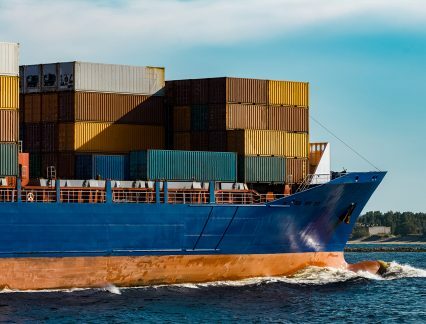 Bolero, along with essDOCS, another trade finance digitisation company, is involved in one of the premier blockchain projects in the industry, the Voltron initiative, on R3’s Corda. Since HSBC worked with ING and Cargill to execute a live letter of credit transaction earlier this year on the Voltron technology, Bolero has been working with the project’s tech partner, CryptoBLK, to move the eBL onto the blockchain. It’s understood that the first Voltron transactions involving the eBL are in the process of being executed.